Vital Imagery Blog: Looking for the Easter Bunny? Looking for the Easter Bunny? I'll be honest. I never quite understood the concept behind the Easter Bunny. Granted if we were looking for the cutest critter to transport and hide eggs for little ones to discover, we can't do much better than an adorable fluffy rabbit. However, if that's the only criteria wouldn't a kitten or lamb have worked as well? Though, I suppose the former might be a little too playful to take the job seriously and the lamb would need someone to follow. "Curious what the Easter bunny has to do with Easter? According to the University of Florida's Center for Children's Literature and Culture, the Easter bunny dates back to the 13th-century when people prayed to multiple gods and goddesses. Eostra, the goddess of fertility and spring, was symbolized with the rabbit and is believed to have crossed over. 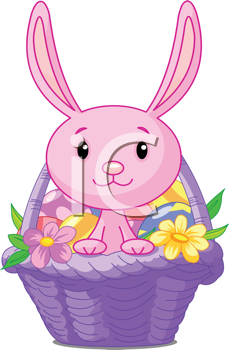 The first mention of an Easter bunny wasn't until the 1500s and it was in the 1680 that the story of the bunny was published."